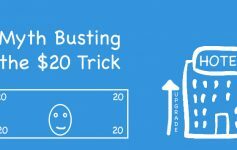 This page may contain affiliate links which earn us a commission. It is optional to use them, and your support is greatly appreciated by doing so. Thank you. 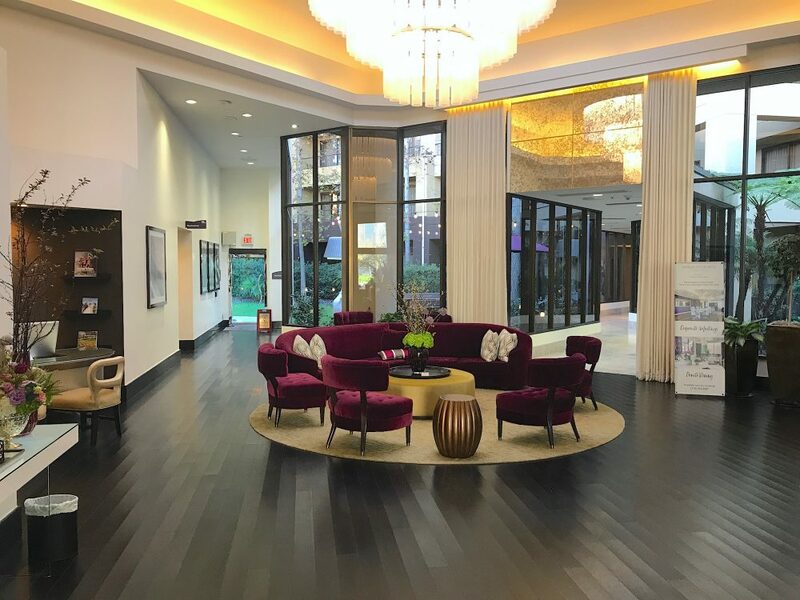 The Avenue of the Arts Hotel is a unique boutique hotel in the heart of Costa Mesa, California. 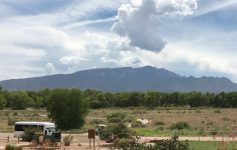 It’s part of Marriott’s (formerly Starwood’s) Tribute Portfolio brand and is only one of four Tribute Portfolio locations east of the Rocky Mountains! That’s only one reason that makes this hotel worthwhile. 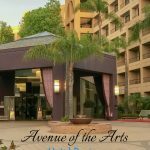 I recently stayed at the Avenue of the Arts Hotel and it exceeded my expectations. 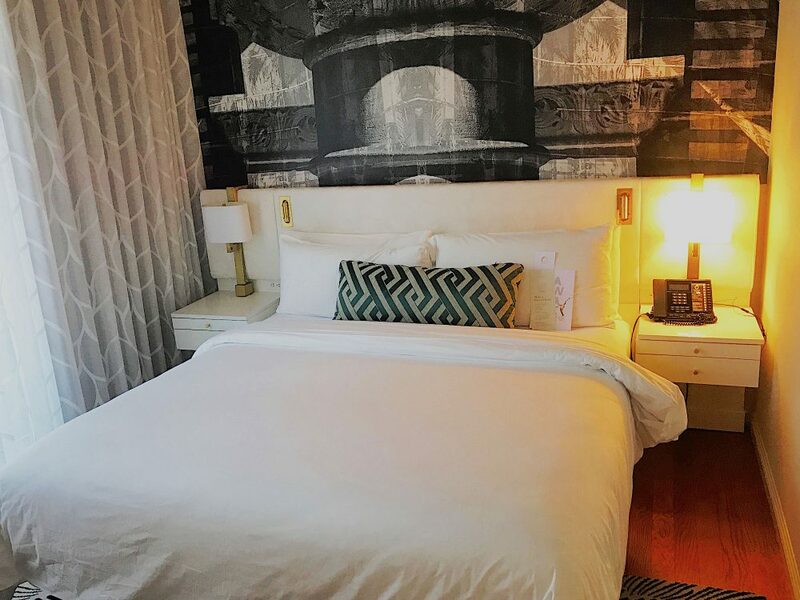 Boutique hotels typically have small rooms, and decor that I am often wondering, “what am I looking at?” The rooms aren’t huge; however, the hotel took a page out of the luxury book for the decor. I had stopped by the Avenue of the Arts Hotel long before I could check in, so I could pick something up. My reservation for was for two queen beds and I asked about switching to a room with a king bed. Making a long story short, I was told that it’s really up to me. I can be a bit socially awkward at times and I said “okay, thank you” and went on my merry way – only to realize later that they were probably waiting for my decision. When I returned later, I asked about a king bed again. It was a different person working the front desk so I was saved from embarrassment. The receptionist made a super quick jaunt to the back office, and said that I was being upgraded to a suite! While they definitely knew who I was, my Bonvoy number was not on file that would show any kind of status (if indeed, I did not get Bonvoyed). I was already being treated better than I got treated at a Hilton, as a diamond member! More on that at a later time. Just a few short minutes later and I was on the way to my suite on the first floor! Most frequent travelers would define a suite as a room which has a door separating a bedroom from the rest of it. In my experience, a junior suite does not fall into that definition, sadly. However, it is what Marriott calls the type of room that I was given, so it’s what I’ll use here. To my pleasant surprise, the junior suite does meet the frequent traveler’s definition of a suite! The room was bright, airy yet cozy. Yes, that magic adjective that typically means small. I was certainly quite surprised and happy about the room I was given. Every room was decorated with an elegant musical overtone, staying true to the area of Costa Mesa it is situated. The bedroom was just as nice as the living room. The room was honestly a bit tight for it to have a king size bed. Yet, it still had it’s own charm. The bed was very comfortable. In fact, I don’t think I’ve slept so well in a hotel bed before! One downside of the room is the lack of convenient outlets to charge my phone. 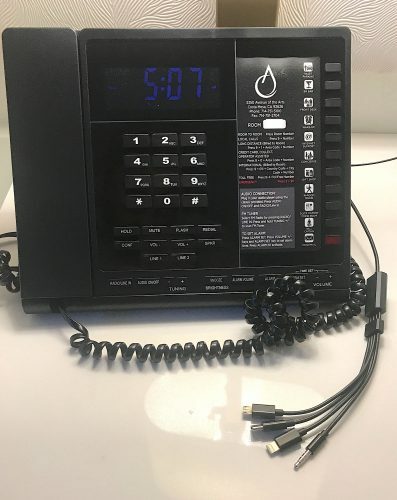 This is, unfortunately, the downfall of many hotels lately. The number of tech devices that people travel with has great increased over the last decade or so. Hotels, in general, haven’t efficiently caught up with the the demand for convenient outlets. The Avenue of the Arts Hotel slightly made up for this by having charging dongles on the nightstand. You can plug in your device via Apple Lightning, micro-USB, and USB-C! Talk about convenient! There’s even a 3.5mm jack, in the off chance your device still has one, to play music through the phone! Where is the Avenue of the Arts Hotel? The hotel is located in the South Coast Metro area of Costa Mesa, California, at 3350 Avenue of the Arts. It is often overshadowed by the nearby Westin and Marriott Hotels. 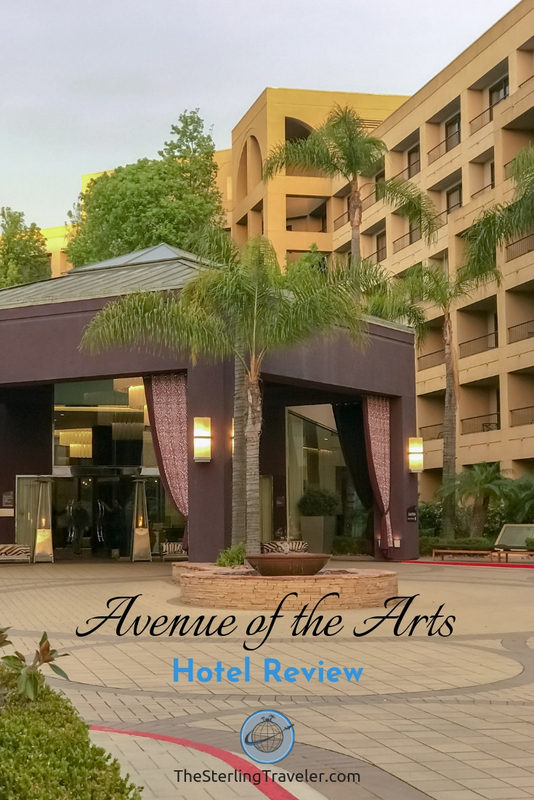 The Avenue of the Arts Hotel is across the street from Argyros Plaza and the Segerstrom Center for the Arts – also walking distance to South Coast Plaza. For more information about what to do in South Coast Metro, read more here. 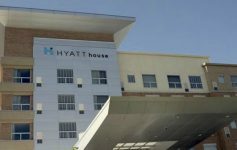 Parking is not free, but the location is excellent and there is a free airport shuttle to the nearby John Wayne Airport. I really enjoyed my stay and would recommend people to stay there. My bias towards unique/boutique hotels over their middle of the road corporate counterparts likely plays are part in this recommendation. Putting all biases aside, the location is excellent, service is great, and the rooms are nice. 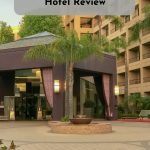 I was hosted by Travel Costa Mesa, but all statements and opinions are my own. 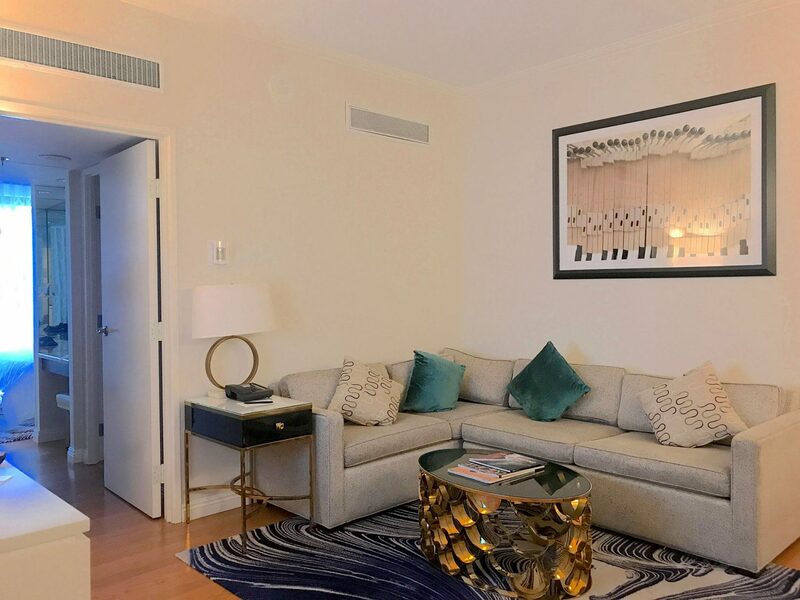 To stay at the Avenue of the Arts Hotel, it is currently 25,000 Marriott Bonvoy points – the same amount to stay at the nearby (and comparatively bland) Marriott, and 10,000 points less than the Westin. Cash rates, from the few random dates I chose, were roughly $140. To compare with the Marriott and Westin, it’s slightly more than the Marriott but significantly less than the Westin. None of the three hotels are good points redemptions, but award nights are there if you’re points rich or cash poor.